As an expert for 22 years in the Ancient, Asian and Ethnography Art fields, I have developed a level of experience which private collectors can take advantage of. I could also make recommendations as to care and management of your objects. Conservation and mounting specific objects protects and increases their value. I can also arrange logistics such as packing, transporting, organizing and storage of the collection in a safe and archival manner. I am familiar with the international art marketplace and the procedures therein. This enables me to efficiently and economically facilitate purchases, deaccessions, and installations regarding the types of works of art you and I are interested in. Art objects are much more valuable and quicker to turn liquid in the hands of a trained expert! As a collections curator or manager I can document your collection by creating and maintaining a database, which would include digital imaging, documenting and researching your collection. 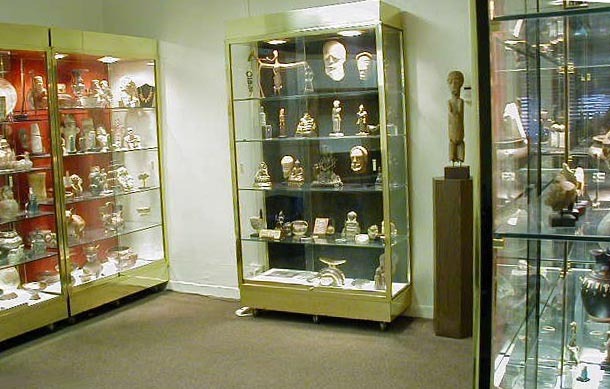 I would be happy to advise on collections acquisitions, care and management; simply contact me.